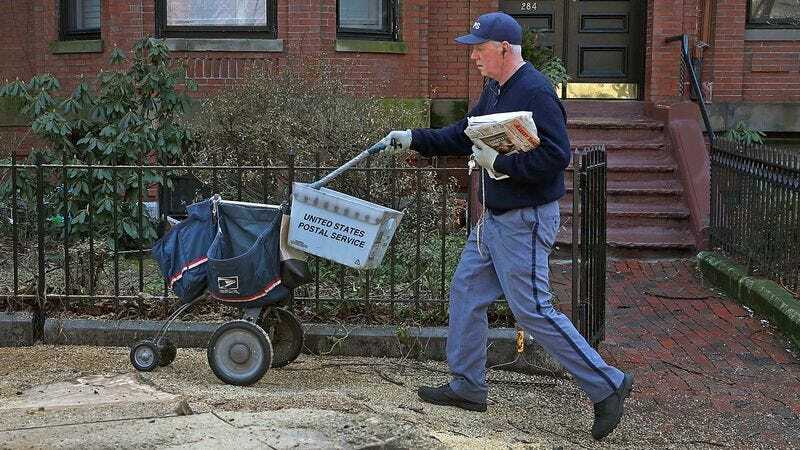 WASHINGTON—Noting that almost two-thirds of the nation’s postal workers were occupied with sorting and delivering the packages at any given time, an audit released Thursday by the U.S. Postal Service revealed that delivering college recruitment letters to five-star athletes comprises 83 percent of the agency’s annual revenue. “Between high-gloss ‘Wanted’ posters depicting the player’s face, poster-sized mockups of athletes in a college team’s uniform, and handwritten notes from coaches emphasizing that the player is their missing piece to a national championship, correspondence from college athletics departments make up more than four out of every five deliveries from the Postal Service,” the report read in part, adding that the overwhelming majority of the nearly 500 million pieces of mail processed each day are part of universities’ efforts to recruit the nation’s approximately 50 best high school football and basketball players. “Of course, this figure also includes the millions of invitations to official campus visits and letters congratulating players on their recent high school playoff victory. In fact, throughout the month leading up to National Signing day, 97 percent of all overnight mail are letters from colleges to just six or seven still undecided recruits.” A recent analytics report released by Twitter also found that 68 percent of all direct messages are sent from assistant college coaches telling 15-year-old high school quarterbacks they could be the next Peyton Manning.